bro u doing a great job pls will u be notifying me for latest info. How much were you given?. @Jeeya actually the *142*3*1# USSD MTN code is selective. I suggest you to try using another line/sim. Even some get #40, #30, #50 daily when dial the code. And some get #200 for 6000 for 1wk. Some clam to use *142# and it works for them. I think u can try that too. Looking forward to hear your testimony. AMeena Jeeya. That's MTN network for u. Same here, sometimes it happens. @ Victor: remember fingers are not equal. just try with another line. And who knows you may be luck this time. @ Muhammad You can only renew after 7 days since you opt in for weekly own. And if you try to deactivate it keep saying "network error"
For me I normally opt in for daily own. @ You, this is network problem. They even deducted monie from some users account. But later, MTN corporate. And they make it work as stated. I think you fall into the category. Kindly share your experience if later work. Pls how do i deactivate the plan? Mine is 40 daily and 150 weekly. I am rocking it big time. same here? so why is it working for some and not working for others? Nothing happen to your Sim/Line just that the promo is for some selected MTN Sim. Kindly try with another Sim. 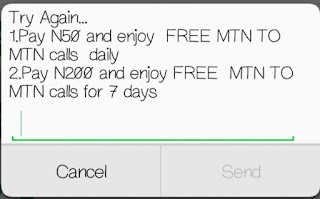 Mtn Nigeria, is not a company of it's words, mtn is now deducting my money upon subscribing to the so called mtn2mtn unlimited calls. My is not walking ,so what can I do? 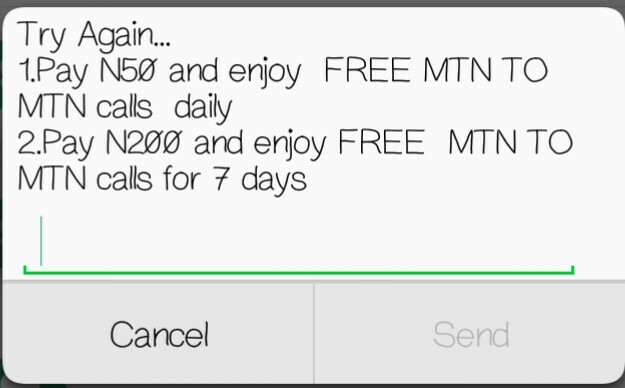 Please I need help on this mtn latest offer. I have done it three times but at the end of the third, I was told I am no longer eligible. What is the way forward? 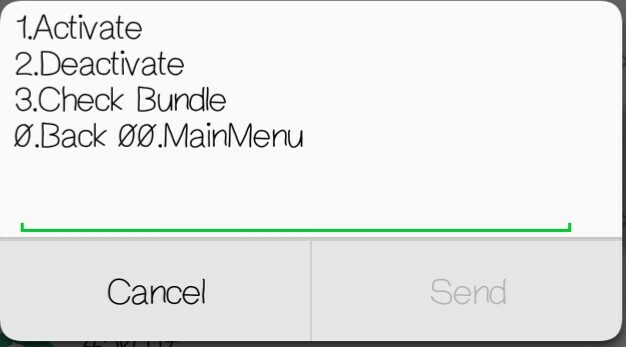 Since the offer is selective, it works with some selected sims I'll postulate you to try using another sim. 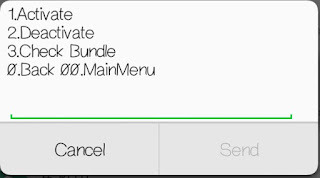 You can just deactivate from mtn betatalk by simply change to any of the mtn packages, zone [*135*1# send] :: http://www.mtndata.com.ng/2015/09/mtn-zone-meaning-benefits-tariff-and.html, ipulse, trutalk etc. Beware!!! 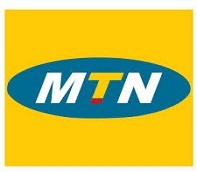 It migrated me to MTN XtraSpecial tarrif plan!